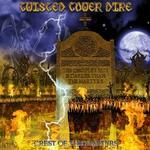 TWISTED TOWER DIRE formed in 1995 for the sole purpose of resurrecting True Heavy Metal. Influences were drawn from Iron Maiden, Black Sabbath, Judas Priest, Candlemass, and others. After releasing two legendary demos, several split EPs and contributing to various sampler CD's to critical acclaim, the band began working with long time fan and Solstice guitarist Rich Walker. He had recently formed a new label called The Miskatonic Foundation and offered to support the recording and distribution of the first TWISTED TOWER DIRE album. The band unleashed their self produced, full-length debut in 1999. 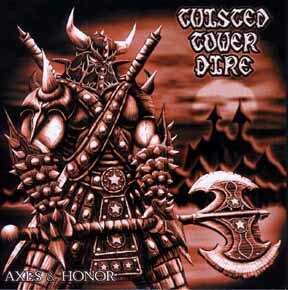 Despite a modest budget, "The Curse of Twisted Tower" won over many dedicated fans that appreciated TWISTED TOWER DIRE's traditional yet unique sound. From 1999 to 2000, the band embarked on a relentless, self-financed world tour in support of "Curse". This tour included U.S. appearances at the Milwaukee Metal Fest (Wisconsin), March Metal Meltdown (New Jersey), The Powermad Fest (Maryland), Phantasmagoria Metal Fest (Maryland), and The North Carolina Metal Fest. A European stretch of the tour followed with fellow metal heathens Slough Feg and Solstice including several club dates and appearances at the Wacken Open Air Festival (Germany) and the Bradford Metal Inquisition (England). In 2001 TWISTED TOWER DIRE released the critically acclaimed "Isle of Hydra" on The Miskatonic Foundation and Hellion Records. The album featured mature song writing abilities and improved production, but retained a certain underground grit. In support they played several shows in the Mid Atlantic Region and beyond, including an appearance at the Classic Metal Festival (Michigan) and a second appearance at the Milwaukee Metal Festival (Wisconsin). 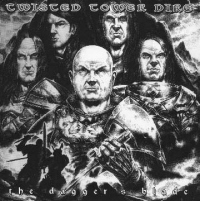 In July 2002 TWISTED TOWER DIRE returned to Deutschland to continue their relentless assault on small clubs and festivals abroad with a headlining appearance at The Headbanger's Open Air Festival. In September of that year TWISTED TOWER DIRE signed to Germany's Remedy Records. Their third release "Crest Of The Martyrs" was unleashed upon the masses on May 26th, 2003. The song "Axes & Honour" was released as a limited vinyl single and picture vinyl single. 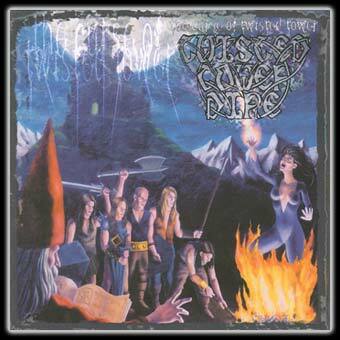 The release of "Crest" was accompanied by a European tour including festival gigs at the Metal Bash Open Air Fest and the Wacken Open Air Fest. TWISTED TOWER DIRE has gone through countless trials and changes through its 10 year history but the seminal vision has remained the same from early basement practices to today. 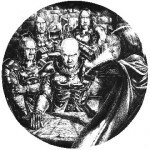 The "Tower Brethren" continue to fight for the legacy of Classic Heavy Metal with their strongest line-up and forthcoming 4th album “Netherworlds” in 2007. The band appreciates the support of its dedicated fans and hopes to soon see you in the audience banging your head!